One of the best things about starting a pizza business has to be meeting new suppliers. And as suppliers go Cobble Lane Cured are pretty special. They’re Mat, Matt and Adam and have been going under the name of Cobble Lane for almost a year now - it’s their birthday tomorrow in fact. Their ‘paper anniversary’ doesn’t do their experience justice. 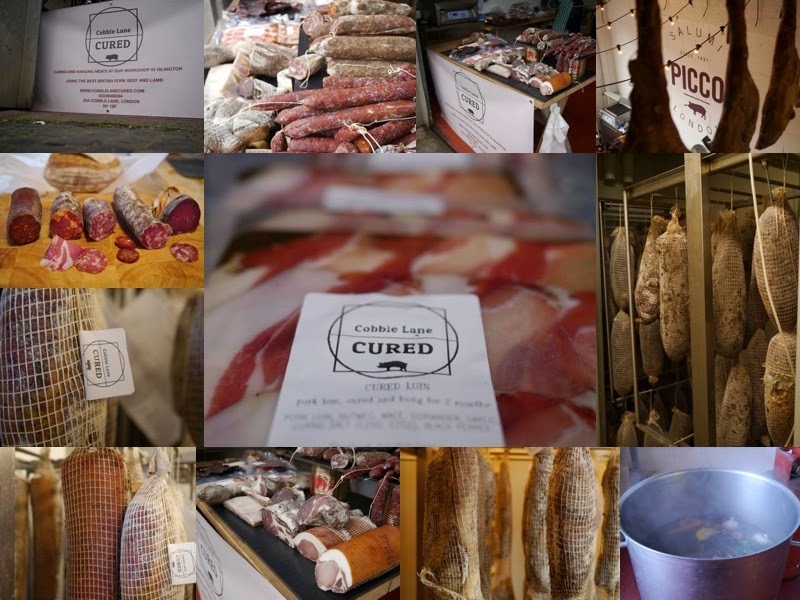 Strike up a conversation and it’s soon apparent these guys know what they’re talking about - I spent a happy hour chatting away about the various cuts, brines, cures, ferments and subtleties of their porky process. Currently they process around 3 pigs a week all hand butchered and you’ll see the bubbling cauldron of the brine they’re using, the herbs harking back to what was found on the mountain pastures where charcuterie was born. I was drawn to the fattier cuts, nduja, pepperoni and guinciale. Cuts full of flavour which will release their oils and start to crisp and char in the heat of our oven. They were incredible. The spicier varieties particularly standing out, where you can still pick out the notes of seasoning before the punch of the chilli comes though - meat maestros.